HMS King George V and the Third Fleet in Sagami Wan, late August 1945, with a destroyer under way at left. Virgil Wing, from Nicholas’s forward fireroom, at commissioning and in action during 1942–43. On 29 August 1945, I was on the USS Benner, DD 807, one unit of over one hundred Third Fleet warships anchored in Sagami Wan, with the great snow-covered Mt. Fuji in the distance. It was a beautiful day. And at daylight, there was my old ship, the Nicholas, getting under way—honored to lead the entire armada, which stretched single file over the horizon into Tokyo Bay. It was and is the most spectacular sight I ever saw. Foster Hailey, New York Times correspondent embarked in Nicholas in 1943. Joe Moll, Nicholas signalman throughout World War II, on the Battle of Kula Gulf with a rescue report by Jack Fitch. Warren Gabelman, Nicholas’s communications officer and GQ OOD, May 1943–45. Then-Commander Robert Taylor Scott Keith, Nicholas’s third commanding officer. 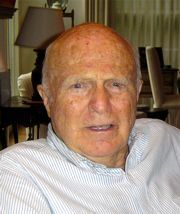 Doug Starr, writing for his grandchildren and looking back at Nicholas in 1944–45. Doug Turpen, Nicholas’s navigator in 1944–45. Ralph Young, Nicholas’s engineering officer, writing home from Tokyo Bay the day after the surrender in 1945. Doug Starritt, Nicholas’s engineering officer in the late sixties.